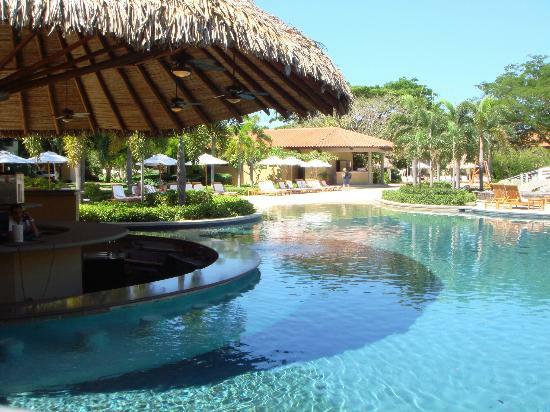 The Westin Resort & Spa, Playa Conchal is located on the stunning Playa Conchal beach, in the northeast portion of Costa Rica's Guanacaste Province. Known for gorgeous views of the Pacific Ocean, the pristine 4-kilometer Playa Conchal beach owes its name to its unique white sand. Here, the water of the sparkling Pacific is always at a comfortable temperature for swimming, snorkeling or surfing. North Guanacaste plays host to an abundance of stunning natural landscapes including semi-active volcanoes, savannahs and tropical dry forests. While at Playa Conchal, many of Costa Rica's wildlife refuges and national parks are within a few hours' reach. The below prices are all inclusive per person and include round trip shared transportation from Liberia airport. Playa Conchal's temperature averages 28°C /85°F year round. Indulge in the flavors of the world at our contemporary eateries. From Latin fare to Asian fusion, Continental buffets to Northern Italian specialties, a diverse range of world-class dining experiences is sure to stimulate your imagination and fulfill your cravings, while our lounges and bars beckon with refreshing drinks and snacks. The above prices are for the all inclusive hotel accommodations and your shared round trip transfers for a 5 night stay. We are happy to assist you with air travel. or create custom packages. If you need help, with airfare, please note your preferred airport when filling out the form. It is best that all reservations are made through this agency to insure your inclusion in all group activities. This property is located just over an hour from Liberia. We price match, so please let us know if the price is a concern. These rates are subject to change until deposit has been made.